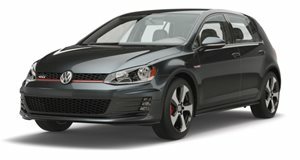 Could This Latest Patent From VW Point Towards A Hybrid GTI? While Volkswagen has dabbled with hybrid technology in the US market, its new focus will be geared toward fully electric cars to replace diesel as the most economical option. Since the sixth-generation Jetta hybrid went out of production a few years ago, VW doesn't currently offer any hybrid models in the US market. This may soon change if a patent filing with the European Intellectual Property Office is to be believed. There's a lot to dissect here because VW has trademarked a bunch of names all at once. We aren't sure how VW plans to use these names if they end up being used at all. Perhaps VW will affix these badges depending on the type of car. For example, VW could use the 'Range Hybrid' name on its most economical vehicles but could reserve the 'Power Hybrid' name for something sporty like a hybridized Golf GTI. Europe already gets a hybrid version of the GTI called the GTE, which utilizes a 1.4-liter turbocharged four-cylinder mated to a hybrid drivetrain, producing a total of 201 horsepower and 258 lb-ft of torque. VW could also end up using these names for different drive modes that can be changed by the driver. This would also be a nice addition because it shows an effort to make hybrid vehicles that are efficient as well as sporty. Since these trademarks were filled with the European Intellectual Property Office, we also have no idea if these names will arrive on any US-bound products.